Sometimes you are required to upload and install a WordPress theme manually, especially when you are willing to use commercial/premium/customized theme for your website. In this case, you will need to upload the theme from WordPress dashboard and install it. 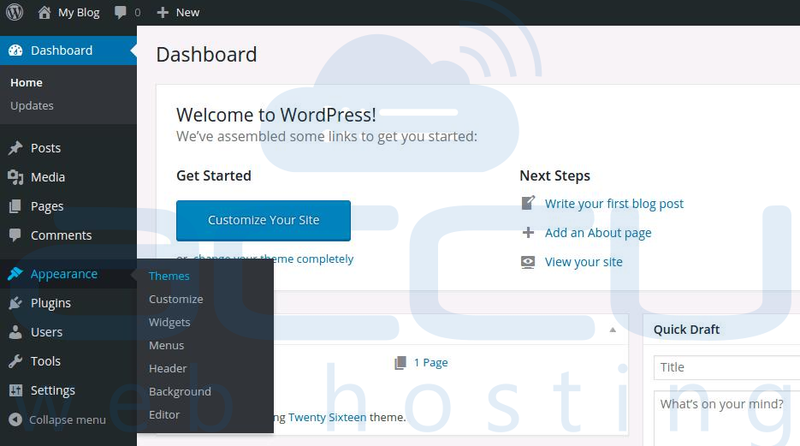 Install Wordpress theme via WP admin. We believe you have already downloaded the WordPress premium theme in your local computer. If not, first download the .ZIP file of the theme from a marketplace or theme provider. Login to WordPress admin area (dashboard) and navigate to Appearance » Themes. At Themes page, click on the Add New button at the top. On the next screen, click on the Upload Theme button. Select the theme's ZIP file from your local computer and click Install Now. You will receive a success message along with links to activate and preview the theme. Click on the activate button to activate the theme. Install Wordpress theme via FTP. Many times, we may face the issue to upload the WordPress theme from wordress admin area due to the upload limit/restriction on the shared environment. In this case, you will need to upload it via FTP. 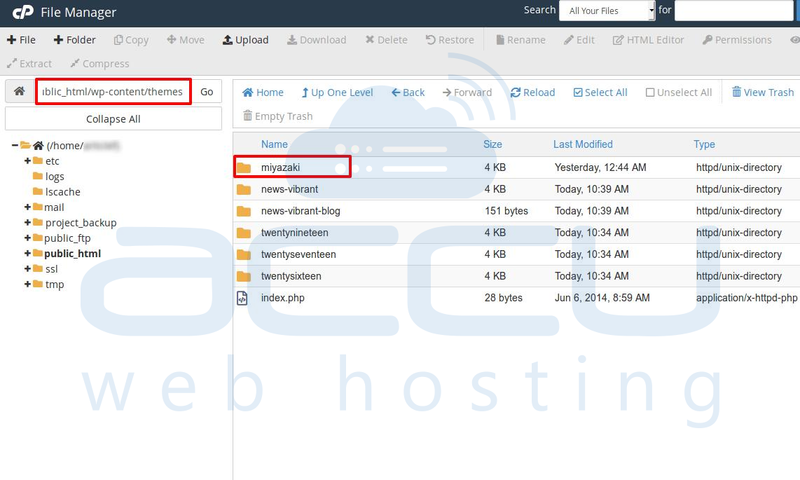 For this, you will need to access your website via FTP and browse the wp-content/themes folder. Unzip and upload the extracted theme folder to the mentioned path at wp-content/themes. Here, we have uploaded the miyazaki theme as you can see in below screen capture. Once the upload is done. 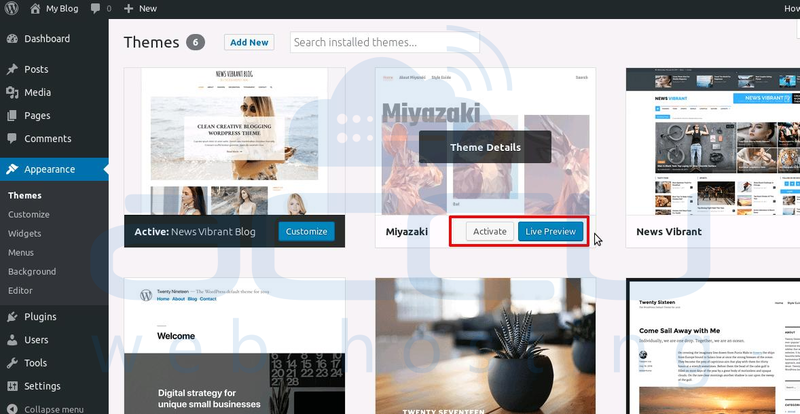 Login to WordPress admin and navigate to the Appearance » Themes.. Here, you will find the uploaded theme. Click on the active button to activate the uploaded theme. How To Fix An Error "The Uploaded file could not be moved to WP-Content/Uploads" folder? How to fix an error SSL certificate problem, verify that the CA cert is OK?